It’s no secret that the construction sector in the UK has been in the grips of a prolonged skills shortage which has limited construction initiatives while increasing labour costs over the last few years. While the shortage hit its worst recorded level in early 2018, it is expected to worsen over the coming years. The FMB (Federation of Master Builders) has found that construction companies, particularly SMEs, have been struggling to recruit skilled tradespeople, such as bricklayers, carpenters, plumbers and electricians, with demand for these skills far outstripping supply. As a result of this skills gap, the FMB said that wages are rising sharply for these skilled trades. Combined with an increase in the cost of building materials, this has dealt a sharp blow to small and medium construction companies alike. This development also contrasts sharply with the government’s plan to build hundreds of thousands of houses annually. According to Brian Berry, chief executive of the FMB, the government has set itself the ambitious target of building 300,000 homes every year in England alone. This initiative seems poorly timed, however, considering that more than two-thirds of construction SMEs are struggling to hire bricklayers as well as other skilled tradespeople. With the construction industry experiencing a resurgence in growth, and more than a million homes estimated to be built by 2020, it’s more important than ever that the sector has the skilled workers it needs. The construction industry is rapidly becoming an ageing workforce, and the rate of retirement looks set to increase, as 22 per cent of the current workforce are over 50 and 15 per cent are in their 60s. At the same time, the industry is also losing younger workers to competing sectors where work is perceived as more stable or appealing and pay is more competitive. There are a number of reasons why young people are not drawn to a career in construction; many of them are either not aware of the variety of jobs available in the sector or perceive the ones they do know about as offering an undesirable or uncertain future. With an ageing workforce and a dwindling pipeline of skilled young workers, the construction industry has reached a turning point. To date, about one fifth of all vacancies in the wider construction sector cannot be adequately or permanently filled, because employers are unable to recruit staff with the right skills, qualifications or experience. One key way to address these negative perceptions and to encourage more young people into construction is for businesses within the industry to engage with schools and colleges. More needs to be done to educate pupils – as well as and their parents and teachers – about what job options are available and what a career in construction might actually look like. It is equally important to find better ways of promoting the industry to women and students from STEM subjects who would not typically consider a career in construction. There is also growing concern throughout the industry that more and more skilled tradespeople from the EU who are currently working for construction companies in the UK will leave the country due to immigration issues or fears. Approximately 10 per cent of the workforce in the UK construction industry is comprised of migrants, 7 per cent of whom are EU nationals; that’s more than the percentage of EU nationals working in all other industries in the UK. With approximately 165,000 construction jobs currently being filled by EU nationals, the industry simply cannot afford to lose this contingent. Indeed, with Brexit fast approaching and all of the uncertainty that it brings with it, more needs to be done within the industry and at the government level to ensure that companies are able to retain and continue investing in migrant workers. According to the Chartered Institute of Building (CIOB), the industry will need to employ over 150,000 new workers by 2021 in order to keep up with current demand. One of the ways in which the industry and the UK government are attempting to tackle this is through the recruitment of apprentices. With the Government’s commitment to an additional 3,000,000 apprenticeships across all industries by 2020, over £1 billion have been invested into training and apprenticeship programmes; however, these programmes alone do not guarantee jobs. While many SME construction companies have yet to take advantage of these apprenticeship programmes, others have been guilty of relying on apprenticeship schemes to complete a specific job, only to put their interns back in the training pool once the project was finished. If the industry is to survive – let alone thrive – in the next few years, we need to make a commitment to these young people, offering them a clear path of opportunity and support. A more resolute commitment from the government to invest in major construction projects could also help businesses plan their work flow and identify skills gaps early enough to ensure suitably trained young people are available and ready for work. Close collaboration between businesses and training colleges can ensure that students learn the necessary skills to ensure further shortages are more adequately addressed. More construction companies should consider implementing or increasing existing recruitment budgets to attract more skilled professionals. By widening talent pools and engaging freelancers on a more regular basis, companies may be able to alleviate short-term demand. However, to support long-term growth, employers also need to encourage their existing workforce to develop soft skills, such as communication and problem solving, as well as acquiring more industry-specific knowledge and training. Encouragingly, over 60% of employers in the construction sector already have some kind of skills development system in place, from transferring employees between different departments or duties to offering additional benefits to support and encourage training. These types of programmes will be key to upskilling the current workforce and increasing productivity, and they could also help organisations retain their best employees. To ensure that upskilling and reskilling initiatives, such as the National Retraining Scheme, meet the needs of the entire workforce, representatives of the construction industry and training providers must collaborate to ensure high-quality and relevant training for management, technical and digital expertise, and soft skills is offered and accessible. Construction is a major sector within the UK economy, generating almost £90 billion annually (6.7% of GDP) and employing around 3 million people; that’s the equivalent of about 10% of UK employment. With the industry set to expand significantly over the next few years to address further housing demand, this is a make or break moment for both the industry and the economy as a whole. 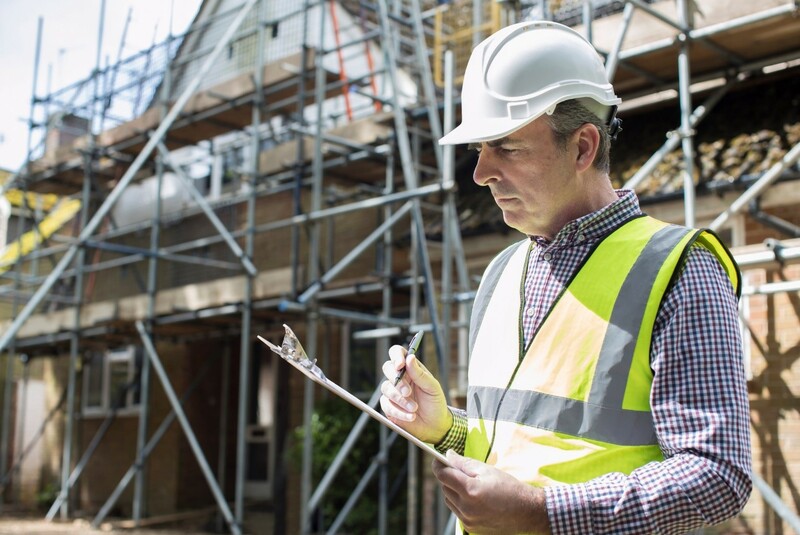 This article was written by Andrew Murphy, Managing Director at Boss Training, expert providers of construction health & safety training across the UK.